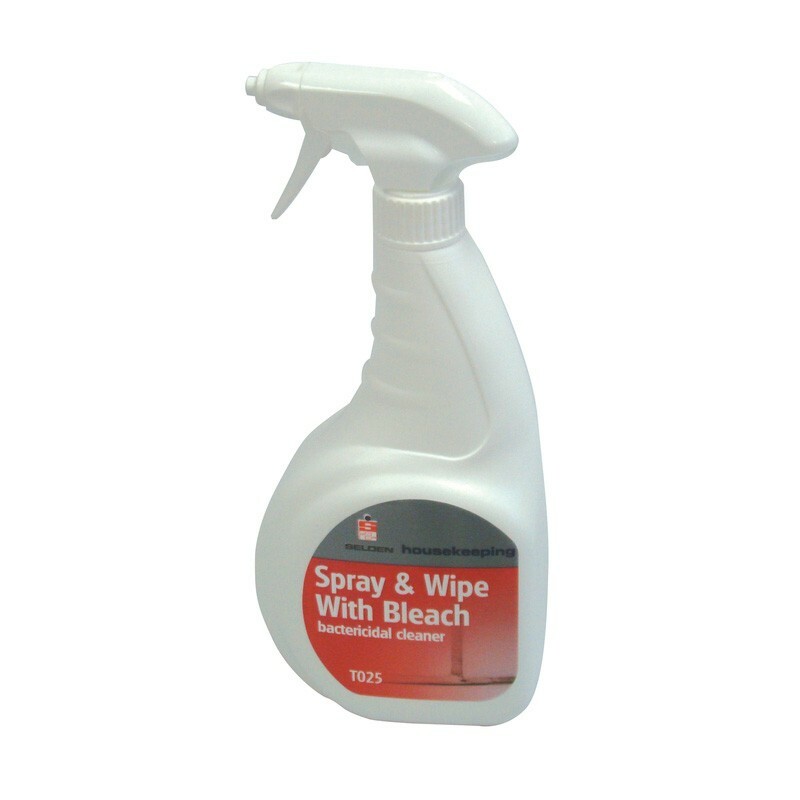 Selden Spray and Wipe With Bleach is designed for the removal of stains, grease and soap scum from sinks and basins, worktops and bathroon tiles. Also suitable as a highly effective sanitiser against bacteria. Removes stains, soap deposits and grease, oil and fatty residues. The rapid action efficient cleaner is suitable for use on all non-porous surfaces. The product is ready to use, with no solutions to make up, with no waste and very economical to use. Contains a pleasant fragrance, freshening as it cleans. Easy to use - simply spray on and wipe off with a clean cloth or paper towel. Also available in bulk 5ltr bottles. Full case pack size - 6 x 750ml trigger sprays. Simply spray onto surface as required, allow product to soften soil and wipe off with a damp sponge or cloth. For tougher stains allow a contact time of up to 10 minutes before wiping off.